Thanks every one for loving me, joining me & providing you extreme support. 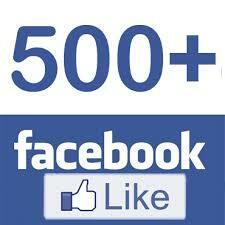 I am very happy to share that we reach to 500+ milestone. Please keep supporting us & liking us. ISSUE : Today, My Friend is facing issue with SQL Server error logs on one of my production server. SQL Server is not able to read SQL server error log files. We have checked that SQL Server Error log files are accessible on file system. 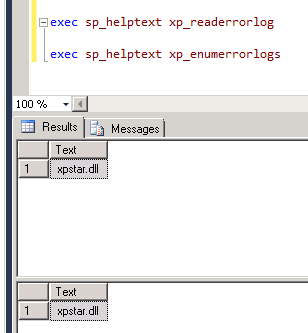 1) When we are running SP_readerrorlog, XP_readerrorlogs or XP_enumerrorlogs, query keeps running without showing results. 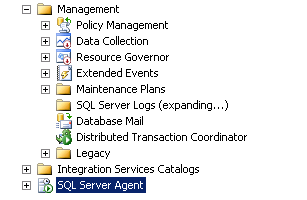 2) When We try to browse error logs from SQL Server GUI, the wizard is also hanging. PREEMPTIVE_OS_GETPROCADDRESS is a new wait type that was introduced in SQL Server 2008 to track time taken by GetProcAddress to load the entrypoint in the DLL when Extended Stored Procedure calls are made by the SQL Server instance. 3) Other extended store procedures are working fine. RESOLUTION :We have rebooted the server so that call to xpstar.dll will work properly.